WHAT A DAY!! 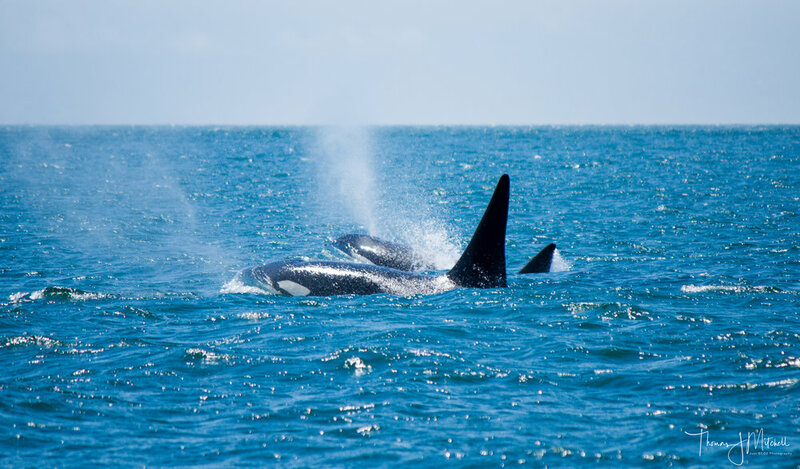 The wind did pick up slightly off the Victoria waterfront but that didn't stop a pod of Bigg's orca playing in the small waves giving our morning expedition a spectacular sight. The afternoon expedition encountered a large group of Bigg's orca with Mt. Baker in the background.